The story goes, in most versions, that Iphigeneia, daughter of Agamemnon – leader of the Greek army against the Trojans – and Clytemnestra, Agamemnon’s husband, was not in fact sacrificed by her father to placate the gods and ensure that a fair wind blow the Greek ships to Troy, but was whisked away from the sacrificial altar at the last minute by the goddess Artemis and replaced by a hind (a female deer). The Fifth Century BC Athenian playwright Euripides wrote two tragedies about Iphigeneia, the first about events at Aulis, the site of her ‘sacrifice’, and the second about Iphigeneia’s life as a priestess of Artemis in Tauris (modern day Crimea) following her rescue by the goddess. Life is lonely for Iphigeneia in Tauris, estranged from her family and with no news of the terrible events that ensue following her departure and she is forced to take charge of human sacrifices to Artemis. But hope arrives in the form of Iphigeneia’s brother, Orestes, fresh from avenging his father’s murder at the hands of Clytemnestra, and Iphigeneia’s cousin, Pylades. This production performs an English translation of German Romantic poet Goethe’s late Eighteenth Century adaptation of the Euripidean original. Goethe has made one major change to the plot: while Euripides has Iphigeneia, Orestes and Pylades make a bid for freedom from Tauris, with Iphigenia to help free Orestes from the blood-guilt that pursues him wherever he travels following his act of vengeance, Goethe wants us to appreciate the purity of the relationship between Iphigeneia and Orestes, who have not seen each other since childhood, and has Iphigeneia negotiate freedom for them all. Iphigeneia’s voice, her affinity with her blood-relations, and not the drama of escape, takes centre-stage in Goethe’s version. 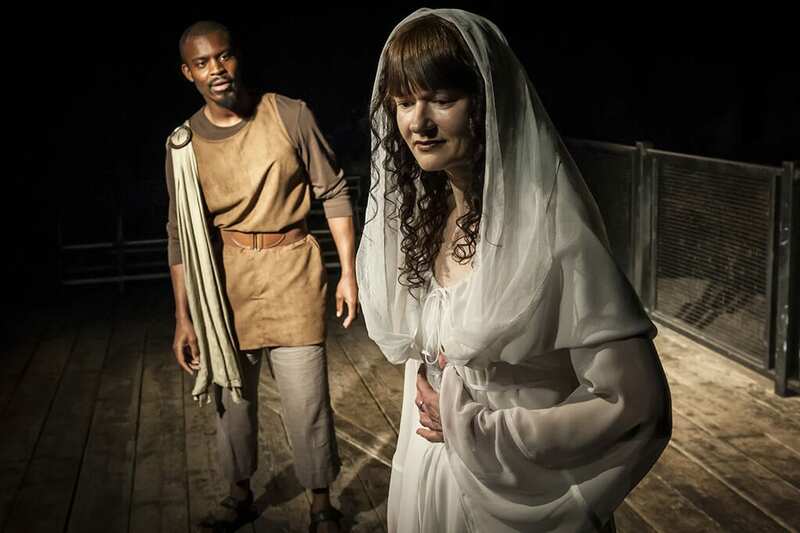 It is easy to imagine being in a temple to the goddess Artemis in the Rose Playhouse off London’s Southbank. The theatre is an underground archaeological site that is like an open wound in soil of of the city offering entry to the world of the immortals. 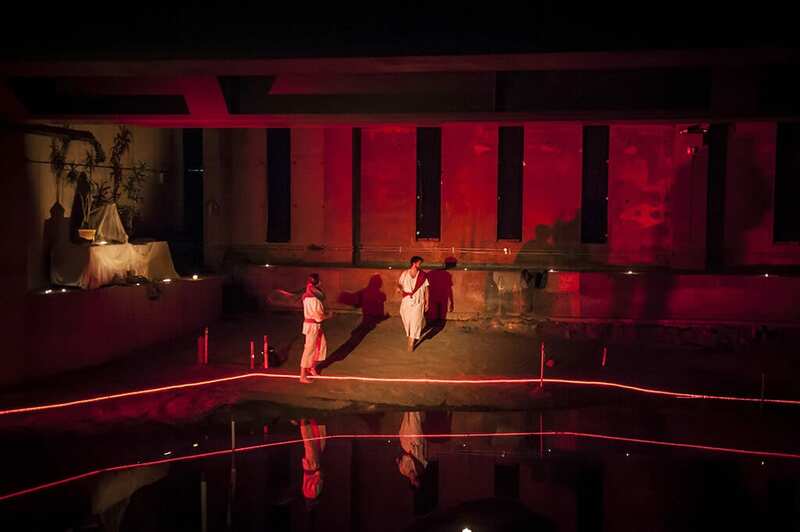 The production successfully conveys the intimacy and intricacy of the relations between the Iphigeneia, Orestes and Pylades played out in the surroundings of a Greek temple and beneath the gaze of the immortal gods. The theme of finding one’s voice and making connections with the divine comes across especially poignantly as, at various points in the play, characters sing or speak to one another across the pool of water that fills the remains of the old Rose theatre as if communicating through time and gazing deep into shared memories. Yet perhaps some of the vitality of Euripides’ original is lost in this translation by Roy Pascal after Goethe. This ancient tragedy relies on the powerful presence of the chorus to enhance and make dynamic Iphigeneia’s voice; Goethe has done away with the chorus entirely in his adaptation. Pascal’s translation was produced for BBC Radio in 1954 and sounds dated, even stilted, in its efforts to reproduce Goethe’s blank verse version. 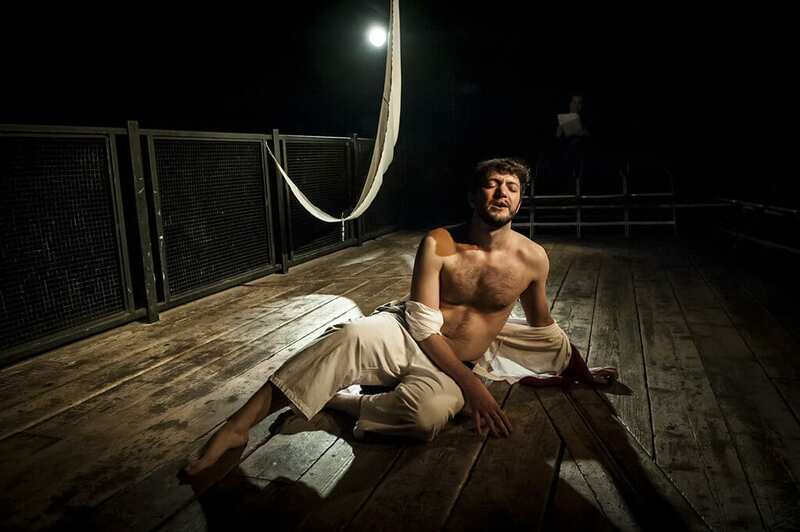 The characters in Greek tragedy tell their stories through sung as well as spoken words, through dance and through bold gesture with musical accompaniment. 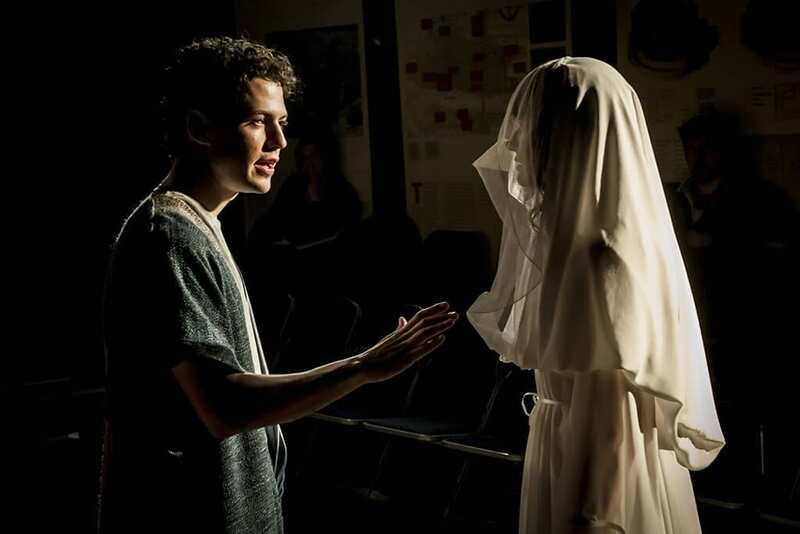 By comparison, this production focuses largely on spoken dialogue, often replete with re-tellings of stories from the complex web of Greek mythology which seem to be in need of livelier dramatization or re-enactment. 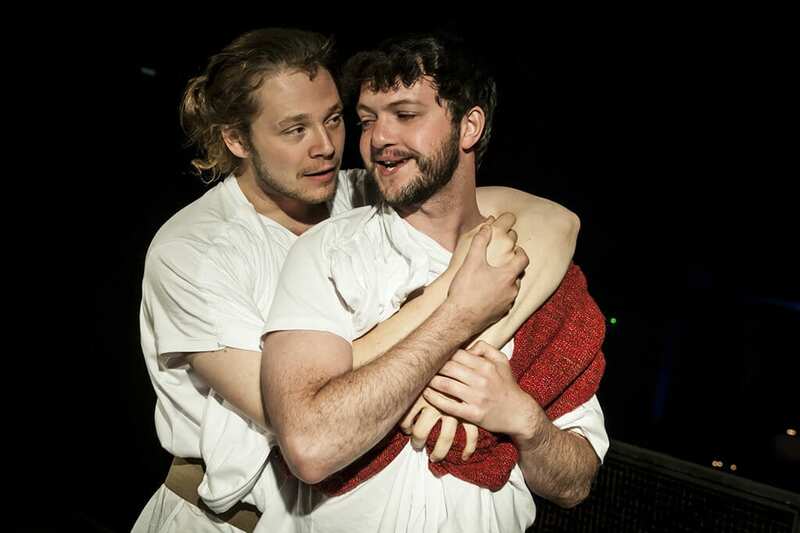 While there are some strong performances, particularly from Ben Hale as an emotionally-charged Orestes, Andrew Strafford-Baker as endearing Pylades and Suzanne Marie who succeeds in moving us at Iphigeneia’s plight, there are dimensions of this drama which could be exploited more creatively.